Hutson observes that in their 1780 state constitution, “[o]fficials in Massachusetts afforded the most ample liberty of conscience…to Deists, Mahometans, Jews and Christians” (2002)—an allusion to Samuel West’s discussion of tax assessments for the support of the public teaching of religion and morality. This observation is accurate as long as one clearly understands that “liberty of conscience” specifically meant no governmental intrusion, but did not extend to the encouragement or promotion of Islam in public life. Proof of this contention is seen in the Third Article of the 1780 constitution itself, in which the legislature was authorized “to make suitable provision…for the institution of the public worship of God and for the support and maintenance of public Protestant teachers of piety, religion, and morality in all cases where such provision shall not be made voluntarily.” The constitution also stated that “every denomination of Christians, demeaning themselves peaceably and as good subjects of the commonwealth, shall be equally under the protection of the law; and no subordination of any sect or denomination to another shall ever be established by law” (Constitution of…, 1780, I.III, emp. added). Hutson fails to divulge that the constitution stipulated that the governor was required to “declare himself to be of the Christian religion” (Constitution of…, II.II.I.II, emp. added), and that any who wished to serve as governor, lieutenant governor, counselor, senator, or representative were required to take an oath of office which included: “I…do declare that I believe the Christian religion, and have a firm persuasion of its truth” (Constitution of…, II.II.V.I, emp. added). Notice that these stipulations inherently excluded Muslims holding office in that state—proof that the Founders’ definition of “tolerance” differs significantly from Hutson’s characterization. [T]he people are to be applauded, as well for their benevolence as for their wisdom, that in selecting a religion [Christianity—DM], whose precepts and sanctions might supply the defects in civil government, necessarily limited in its power, and supported only by temporal penalties, they adopted a religion founded in truth; which in its tendency will protect our property here, and may secure to us an inheritance in another and a better country (“Defence of the…,” 1820, p. 7, emp. added). Once again, the sanitized version of America’s history confuses religious tolerance with endorsement, promotion, and accommodation, and fails to discern the distinction made by the Founders between religious tolerance on the one hand, and their firm belief in the priority of the Christian religion on the other. Hutson cites Ezra Stiles (Yale College president from 1778-1795) as supporting the notion that Muslim morals are “far superior to the Christian.” This claim is a preposterous misrepresentation of the facts. Stiles’ comments came in a sermon preached before the governor and legislature of Connecticut in 1783. In extolling the glory of America with its purest form of Christianity in the world, Stiles alluded to the fact that “Sir William Temple, Sale, and other learned deists, fond of depreciating Christian virtue by comparisons, have extolled and celebrated the Mohammedan, Chinese, and other Oriental morals, as far superior to the Christian” (1783). But Stiles disagreed with their assessment. He insisted that, in contrast to all other religions, “the more Christianity prevails in a country, civil society will be more advanced, ferocious manners will give way to the more mild, liberal, just, and amiable manners of the gospel.” He stated his belief that “[a] time will come when six hundred millions of the human race shall be ready to drop their idolatry and all false religion, when Christianity shall triumph over superstition, as well as Deism, and Gentilism, and Mohammedanism.” Ezra Stiles provides no support for the encouragement of Islam in America. He believed it to be “false religion,” along with superstition, deism, and paganism. In discussing the religious beliefs of people as those beliefs relate to citizenship in a republic, the Founders clearly believed that Christianity is the one religion that most fully coincides with the republican principles they espoused. They considered Christianity the “one true religion.” [NOTE: The Continental Congress repeatedly referred to Christianity as “true religion” in their proclamations to the American public; see the June 1775, March 1779, and October 1782 proclamations in Miller, 2009 and Miller, 2012.] Benjamin Franklin stated pointedly: “History will also afford frequent Opportunities of showing the Necessity of a Public Religion, from its Usefulness to the Public; the Advantage of a Religious Character among private Persons; the Mischiefs of Superstition, &c. and the Excellency of the Christian Religion above all others ancient or modern” (1840, 1:573, emp. added). Since adherents of other religions would wish to be included in the grand American experiment, the Founders naturally gave some consideration to the ability of professors of non-Christian religion to fit into the American political and social framework. It is in this context that the Founders acknowledged Islam’s belief in afterlife. Due to their conviction that no one was a fit citizen in a Republic if he did not believe in a future state of rewards and punishments, i.e., heaven and hell, as sufficient motivation to tell the truth and refrain from licentious behavior, as noted earlier, they banned atheists from serving as witnesses in court. 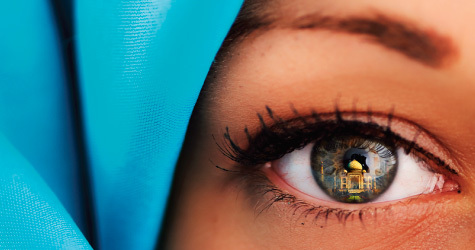 They recognized, however, that though Islam contained many objectionable and absurd beliefs (including the notion that the faithful Muslim will be rewarded with virgins in paradise—a point noted by Hutson from the Boston newspaper), at least it indoctrinated its adherents with a firm belief in punishment and reward in the afterlife. [T]he only foundation for a useful education in a republic is to be laid in Religion. Without this there can be no virtue, and without virtue there can be no liberty, and liberty is the object and life of all republican governments. Such is my veneration for every religion that reveals the attributes of the Deity, or a future state of rewards and punishments, that I had rather see the opinions of Confucius or Mahomed inculcated upon our youth, than see them grow up wholly devoid of a system of religious principles. But the religion I mean to recommend in this place, is that of the New Testament (1798, p. 8, emp. added). Dr. Rush then proceeded to declare the superiority and priority of Christianity in a republic, even clarifying, “I wish to be excused for repeating here, that if the bible did not convey a single direction for the attainment of future happiness, it should be read in our schools in preference to all other books” (p. 100, emp. added). No provision whatsoever was made by him or any other Founder for the use of the Quran in our schools or courts. Hutson’s mention of the petition from the group of citizens from Chesterfield County, Virginia calling for religious liberty for “Jews, Mehometans and Christians” must also be understood in its historical setting. Patrick Henry had proposed a bill “establishing a provision for the teachers of the Christian religion” in which the teachers would receive financial remuneration from the state (1784). The fact is that the citizens behind the Chesterfield County petition were concerned that the bill was detrimental to “the true interests of Christianity” (Virginia General Assembly, 1828, p. 36, emp. added). Their concern was that government support of religion tends to corrupt it by showing partiality to one Christian sect over others and interfering with the rights of Christian conscience, thereby violating civil and natural rights. Neither side in the debate intended to leave the impression that Islam is a true religion, nor did they intend to promote Islam in Virginia as equally authentic or deserving of a place of equal status with Christianity. Because the policy of the Bill is adverse to the diffusion of the light of Christianity. The first wish of those who enjoy this precious gift ought to be that it may be imparted to the whole race of mankind. Compare the number of those who have as yet received it with the number still remaining under the dominion of false Religions (1785, emp. added). According to Madison, all religions except Christianity are “false Religions” that need the enlightenment that Christianity provides. He believed that Henry’s bill would interfere with imparting Christianity to the whole world. The Chesterfield petition may be juxtaposed with the one presented by the citizens of Surrey County, which insisted that the bill was, in fact, “consistent with the principles of equal liberty, tending to promote the great interests of religion, and founded on the experience and practice of all Christian nations” (Virginia…, p. 36, emp. added). So those who opposed the bill were concerned that, by intruding into the realm of religion, the government might eventually usurp its role, overstep its power, and interfere with the free exercise of the Christian religion by the varying sects. [O]ur citizens should early understand that the genuine source of correct republican principles is the Bible, particularly the New Testament or the Christian religion…. [T]he religion which has introduced civil liberty, is the religion of Christ and his apostles, which enjoins humility, piety, and benevolence; which acknowledged in every person a brother, or a sister, and a citizen with equal rights. This is genuine Christianity, and to this we owe our free constitutions of government…. [T]he Christian religion ought to be received, and maintained with firm and cordial support. It is the real source of all genuine republican principles…. The religion of Christ and his apostles, in its primitive simplicity and purity, unencumbered with the trappings of power and the pomp of ceremonies, is the surest basis of a republican government…. [T]hose who destroy the influence and authority of the Christian religion, sap the foundations of public order, of liberty, and of republican government… (1832, pp. v,247,310-311, emp. added). The United States commenced their existence under circumstances wholly novel and unexampled in the history of nations. They commenced with civilization, with learning, with science, with constitutions of free government, and with that best gift of God to man, the Christian religion (as quoted in Scudder, 1881, p. 242, emp. added). Let it be repeated once again that, having a Christian mindset, the vast majority of the Founders were for religious tolerance, meaning that they were willing for those who embraced non-Christian religions to come to the country and not be persecuted. However, under no circumstances should such tolerance be misconstrued to mean that the Founders intended to convey credibility to such religions, implying that those beliefs would be beneficial to America’s way of life if incorporated into its public institutions. Even the Founders’ consistent depiction of Muslims as “Mahometans” (a term offensive to Muslims) demonstrates their antipathy towards Islam, since they regarded the religion as the concocted invention of Muhammad—not the God of the Bible. Mahomet aimed to establish his pretensions to divine authority, by the power of the sword and the terrors of his government; while he carefully avoided any attempts at miracles in the presence of his followers, and all pretences to foretell things to come. His acknowledging the divine mission of Moses and Christ confirms their authority as far as his influence will go while their doctrines entirely destroy all his pretensions to the like authority…. And now, where is the comparison between the supposed prophet of Mecca, and the Son of God; or with what propriety ought they to be named together?...The difference between these characters is so great, that the facts need not be further applied (pp. 36,39, emp. added). This premiere Founder merely expressed the sentiments of the bulk of the Founders as well as the rank and file of American citizens. Mahomet taught his army that the “term of every man’s life was fixed by God, and that none could shorten it, by any hazard that he might seem to be exposed to in battle or otherwise,” but that it should be introduced into peacable [sic] and civil life, and be patronized by any teachers of religion, is quite strange, as it subverts religion in general, and renders the teaching of it unnecessary…. [We] are liable to be imposed upon by impostors, or by ignorant and insidious teachers,whose interest it may be to obtrude their own systems on the world for infallible truth,as in the instance of Mahomet (1854, pp. 17,35-36, emp. added). The foundations which support the interest of Christianity, are also necessary to support a free and equal government like our own. In all those countries where there is little or no religion, or a very gross and corrupt one, as in Mahometan and Pagan countries, there you will find, with scarcely a single exception, arbitrary and tyrannical governments, gross ignorance and wickedness, and deplorable wretchedness among the people. To the kindly influence of Christianity we owe that degree of civil freedom, and political and social happiness which mankind now enjoy. In proportion as the genuine effects of Christianity are diminished in any nation, either through unbelief, or the corruption of its doctrines, or the neglect of its institutions; in the same proportion will the people of that nation recede from the blessings of genuine freedom, and approximate the miseries of complete despotism (1799, emp. added). One cannot but ponder the question: What if the Arabs had been Christians? To me it seems certain that the fatalistic teachings of Mohammed and the utter degradation of women is the outstanding cause for the arrested development of the Arab. He is exactly as he was around the year 700, while we have kept on developing. Here, I think, is a text for some eloquent sermon on the virtues of Christianity (1947, p. 43, emp. added). 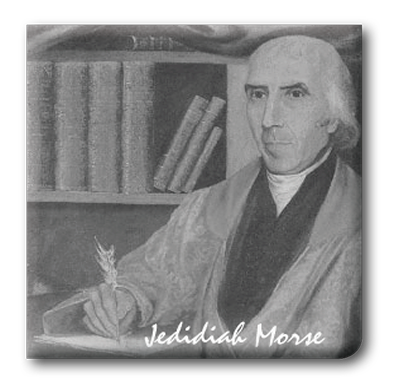 To echo the words of Jedidiah Morse, the “tyrannical governments” and “deplorable wretchedness” that continues to characterize Islamic countries around the world will necessarily characterize America if and when Islam is allowed to permeate the nation’s institutions. Allen, Ethan (1854), Reason, The Only Oracle of Man (Boston, MA: J.P. Mendum, Cornhill), http://tinyurl.com/Allen-Ethan-1854-Reason. Blunt, Joseph (1830), The American Annual Register for the Years 1827-8-9 (New York: E. & G.W. Blunt), 29:267-402, http://www.archive.org/stream/p1americanannual29blunuoft. Boudinot, Elias (1801), The Age of Revelation, http://books.google.com/books?id=XpcPAAAAIAAJ&printsec=frontcover&source=gbs_ge_summary_r&cad=0#v=onepage&q=mahomet&f=false. Constitution of Massachusetts, 1780, http://www.nhinet.org/ccs/docs/ma-1780.htm. 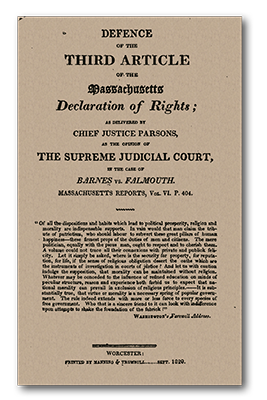 “Defence of the Third Article of the Massachusetts Declaration of Rights; as delivered by Chief Justice Parsons, as the Opinion of the Supreme Judicial Court, in the case of Barnes vs. Falmouth” (1820), (Worcester: Manning & Trumbull), http://books.google.com/books?id=cCYwAAAAYAAJ&printsec=frontcover#v=onepage&q&f=false. Franklin, Benjamin (1840), The Works of Benjamin Franklin, ed. Jared Sparks (Boston, MA: Hilliard Gray & Company), http://books.google.com/books?id=Op5YAAAAMAAJ&pg=PA158& dq=Proposals+Relating+to+the+Education+of+Youth+in+Pennsylvania&hl=en&sa=X&ei =fxnCUPC5Coju9ASxvIGgAw&ved=0CFMQ6AEwCA#v=onepage&q=public k%20religion&f=false. Henry, Patrick (1784), “A Bill Establishing a Provision for Teachers of the Christian Religion,” Virginia House of Delegates, December 24, 1784. Madison, James (1785), Memorial and Remonstrance Against Religious Assessments, Bill of Rights Institute, http://billofrightsinstitute.org/founding-documents/primary-source-documents/memorial-and-remonstrance/. “McDonalds Settles 700,000 Suit Over Islamic Diet in US” (2013), Associated Press, January 22, http://www.foxnews.com/us/2013/01/22/mcdonald-settles-700000-suit-over-islamic-diet-in-us/. Miller, Dave, ed. (2012), Continental Congress Proclamation Packet (Montgomery, AL: Apologetics Press). 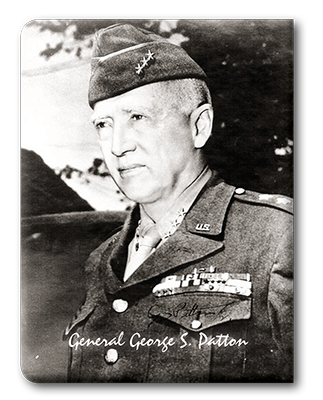 Patton, George S. (1947), War As I Knew It (New York: The Great Commanders, 1994 edition). 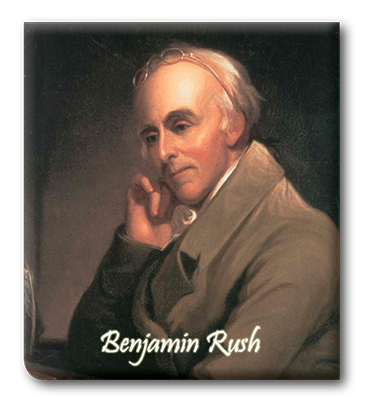 Rush, Benjamin (1798), Essays, Literary, Moral and Philosophical (Philadelphia, PA: Thomas and Samuel Bradford). 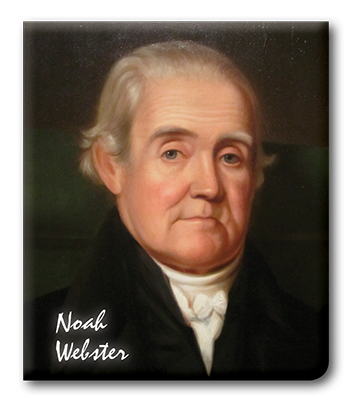 Scudder, Horace (1881), Noah Webster (Boston, MA: Houghton, Mifflin, & Co.). Stiles, Ezra (1783), “The United States Elevated to Glory and Honor. 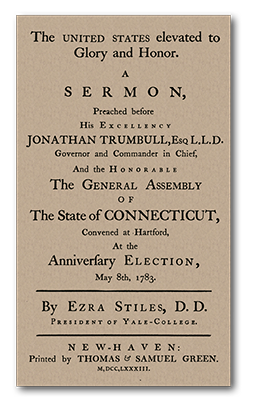 A Sermon, Preached before His Excellency Jonathan Trumbull, Governor and Commander in Chief, and the Honorable General Assembly of the State of Connecticut, Convened at Hartford, at the Anniversary Election, May 8th, 1783,” (New Haven: Thomas & Samuel Green), http://www.belcherfoundation.org/united_states_elevated.htm. Virginia General Assembly (1828), Monday, November 14, 1785, Journal of the House of Delegates of the Commonwealth of Virginia Begun and Held in the City of Richmond, in the County of Henrico, on Monday the Seventeenth Day of October, in the Year of Our Lord One Thousand Seven Hundred and Eighty-Five (Richmond, VA: Thomas W. White), http://books.google.com/books?id=QcGTdl0n0YEC&printsec=frontcover&source=gbs_ge_summary_r&cad=0#v=onepage&q&f=false.